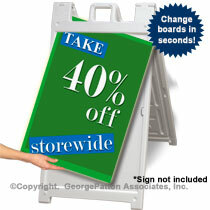 These outdoor signs are the most affordable, yet high-quality sidewalk signs on the market! 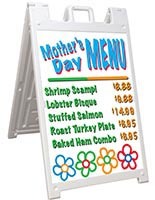 These message boards, sign boards are sold at affordable prices, as they are sold without graphic inserts or plastic lenses. 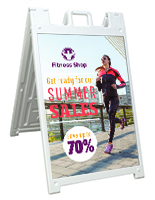 This characteristic makes the outdoor signs the ideal a-frames for print shops or individuals that already have custom printed inserts. Advertisers can implement one of these models without worrying about breaking the budget. 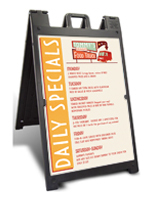 Signicade® Deluxe outdoor signs are double-sided for maximum advertising. 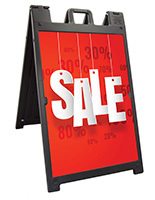 These a-frames are designed to hold two 24" x 36" sign inserts up to 3/16" in thickness. 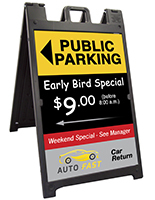 These outdoor signs are manufactured exclusively from polyethylene, a durable plastic, making them ideal for exterior use. As a result of their durable construction, the frames won't rust or splinter over time, unlike wooden a-frames. 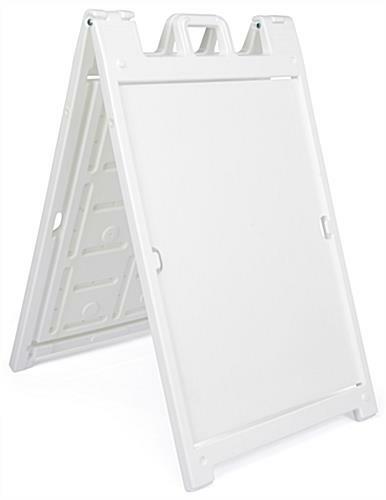 These outdoor signs feature a sleek, white coloring. This hue allows the posters and colorful messages to pop off the board. 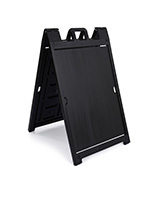 These outdoor signs may be filled with sand for extra stability in windy weather. 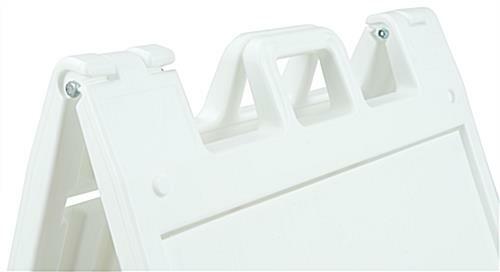 The hinges of this portable display lock and unlock for easy set up and transport. 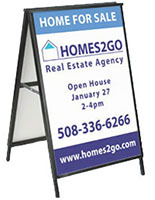 These outdoor signs have handles at the top for increased ease in transportation. Please Note: This outdoor signage is the sign frame only. It does not come with any board, coroplast, or lenses. This "raw" unit is ideally suited for print shops or companies that have the ability to make their own signs on 1/8" coroplast. 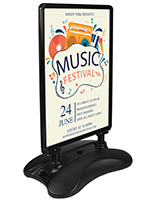 This large signboard is made for 24x36 posters, though the holders are clearly designed for the professionally printed plastic ones of 1/4" thick. Even there it might be necessary to use shims to secure the posters firmly. Still, the weight of the signboard and the ability to make it even heavier with sand or shot makes this a good one for outside use. The only problem we had with this sign was the delivery. The driver left it out of sight in the vestibule of a rarely used door, and then kept directing us to a different door when we inquired. It took us a few days of fruitless searching to find it. 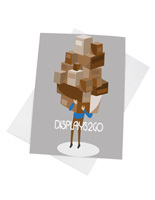 Future buyers should be sure to insist that the delivery be signed for. We appreciate your feedback for other customers, Elliott. We're happy to hear that the sign is working well for you, but would like to follow up to ensure that you are completely satisfied. Thank you for taking the time to share your thoughts. We're so sorry to hear about this issue, Cathie. We'd certainly like to see if we can further assist to make this a better experience for you. A customer care specialist will be reaching out soon. Thank you for your feedback. These signs are very stable and arrived quickly after ordering. They can be filled with sand or water. Hey thanks for the great review, Heather! We appreciate it! This product is nice but difficult to fill with sand - the hole is tiny. Tends to blow over a lot if it is not filled. We're sorry to hear you're having trouble with the sidewalk sign, Julie. One of our customer care specialists would be happy to reach out and assist. Thank you for letting us know! This was exactly what we needed and we greatly appreciated the timely delivery! We're glad we had just what you needed, Rita! Thanks so much for letting us know what you thought!